Y’all!!! Thank you SO much for the amazing job not just Friday and Saturday but also the whole planning process! I couldn’t have asked for a better transportation vendor to work with. Y’all are amazing, and I look forward to working with you again soon! Thank you SOOOOO much!! Mark you are a rock star!! The above review by Ashley of Leap Frog Tours (Engaged Asheville’s favorite transportation company, brought on the amazing Q&A session below! Love this Wedding Planner’s insider’s view of wedding transportation and just how helpful it can be! Q: Leap Frog Tours—About how many weddings do you plan in a typical month/year? 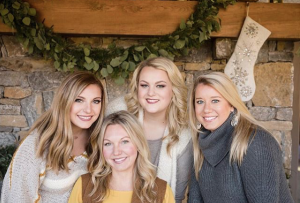 A: Ashley— There are four wedding planners at Mingle Events, and we all work at different levels of production. I plan about two weddings per month. The monthly average for Mingle Events is about seven weddings. We’re busiest during the spring and fall, but of course, we have weddings sprinkled throughout the winter to keep us busy. Q: Leap Frog Tours—Are most of your couples local or are they planning destination weddings? A: Ashley— Most of my events are destination weddings, and the couples seem to be from all over the place. I have worked with a handful of couples that are local or they lived in the Western NC area at one point, and they decided to have their wedding here. Couples love our mountain scenery. Q: Leap Frog Tours—Why do you think couples should use a transportation vendor for their rehearsal dinners and/or weddings? A: Ashley— When their guests are from out of town, when alcohol is served, to provide a convenience for their guests, even when people are from the area, but they don’t know exactly where the wedding venue is located. Transportation is really appealing to wedding guests because all they have to do is show up and get on the van. Also, the couple knows that the guests will be at the event on time. Q: Leap Frog Tours—Roughly what percentage of the couples you work with use a transportation vendor? A: Ashley— About 60-70% of couples hire transportation for some portion of their wedding … sometimes just for a get-away car at the end of the night, often for the bridal party, and sometimes for the entire guest list. Q: Leap Frog Tours—How did you first hear of Leap Frog Tours? A: Ashley— Mingle Events is part of this Creative Team [Engaged Asheville], and so is Leap Frog Tours. Candace (Candace Hightower, who owns both Mingle Events and Engaged Asheville) spoke very highly of your company. Q: Leap Frog Tours—Do you usually recommend a transportation vendor or do your couples know they want to use a transportation company? A: Ashley— I usually always recommend transportation, especially if guests are from out of town and if alcohol will be served. More often than not, couples take our recommendation to hire transportation, but sometimes they don’t because of budget constraints. Although some people look at transportation as a daunting aspect of wedding planning because of the logistics, that’s the kind of challenge we love to take on. We know we can recommend a good vendor, like Leap Frog Tours, to manage the logistics and make it as simple and seamless as possible for the couple. Q: Leap Frog Tours—How many weddings have you planned that specifically utilized our services? A: Ashley— According to Candace, Mingle Events has planned around 70-80 weddings and Leap Frog Tours was involved in 25% of them, if not more. Candace told me that everything has gone well with your services, and she is a big fan. As for me, the big Cashiers wedding was the first event that I’ve planned with Leap Frog Tours. That wedding was really complex because there were multiple pick-up and drop-off locations. I had peace of mind because Mark (Mark Merritt, Leap Frog’s Business Development Manager) took the reins, and he was great. Something like transportation is out of our control, and we have to trust and believe that it will be done right. 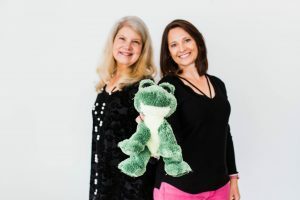 Q: Leap Frog Tours—How do you typically work with Leap Frog Tours … directly with us or do you advise the couple to work with us? A: Ashley— We typically take the lead on transportation … initially, to get a price quote to see if it falls within budget. Also, couples don’t usually want to deal with the logistics so we take that off of their hands. Q: Leap Frog Tours—What do you like about working with us? A: Ashley— I was very impressed with the response time, and I was impressed with the level of detail … that all details were written out in a document so I knew exactly what was going on with each van. With the Cashiers wedding, we had a few changes on the day of the event, and we were kept in loop. All day, we knew what was happening. Q: Leap Frog Tours—Can you give me an example of how we’ve helped you reduce the stress during a wedding? A: Ashley— Yes, Leap Frog Tours reduced a lot of stress during the big Cashiers wedding. The venue was a private residence literally on the side of a mountain. Knowing that the vans could make it to the house and the family didn’t have to stress about guests getting to and from the venue gave everyone a huge sense of relief. There was alcohol, and all guests knew they could enjoy themselves because they had a safe ride at the end of the night. Mark did a site visit, so we knew that the vans could make it to the venue. The site visit also helped us gauge the timing to get all 170 guests to the venue so no was standing around waiting before the wedding. The same was true at the end of the wedding. We had an early shuttle. Then, the Leap Frog Tours drivers and vans were nearby so when guests were ready to leave, we could call for a van. This helped eliminate wait times at the end of the night since we had many different vans picking up guests as they were ready to leave.